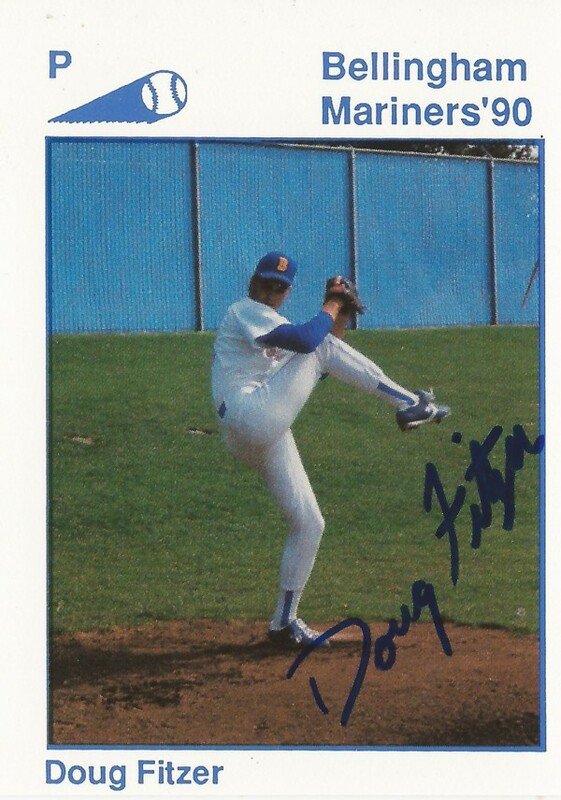 Doug Fitzer described his pitching coach Paul Lindblad to The Newport News Daily Press in 1992. "Some guys can pitch, but they don't know how to coach it,'' Doug Fitzer told The Daily Press. "He definitely knows how to coach it." Fitzer received that coaching in his third season as a pro. He went on to play in three more seasons, but whatever coaching he received, he never made it higher than AA. 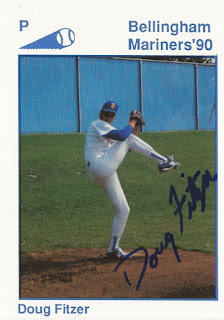 Fitzer's career began in 1990, taken by the Mariners in the 25th round of the draft out of the University of Detroit Mercy. He started with the Mariners at short-season Bellingham. He went 5-1, with a 2.70 ERA. He then played 1991 at high-A San Bernardino. In 30 relief outings, he picked up three wins and one save. His season ended a little early for nerve surgery. Fitzer then moved to high-A Peninsula. He picked up his second of six saves on the year in a June game. He gave up a home run in an August contest. He picked up three wins on the year, with a 1.35 ERA over 26 outings. After not being recorded as playing in 1993, Fitzer returned for 1994 at high-A Riverside. In 20 relief outings, he won two and had a 2.19 ERA. He got his only brief look at AA in 1995. He got into four games at Port City and gave up three earned in five innings of work. He last played in 1996 in independent ball. He went 6-6, with a 6.30 ERA to end his career.